Description: Hydrogen Sulphide (H2S), also known as sour gas, is an extremely toxic and flammable gas that can be encountered in both downstream and upstream sectors of the Oil and Gas industry. At concentrations higher than 100 ppm H2S is considered as Immediately Dangerous to Life and Health (IDLH) and can cause an array of effects, from eye and throat irritation, to pulmonary edema. 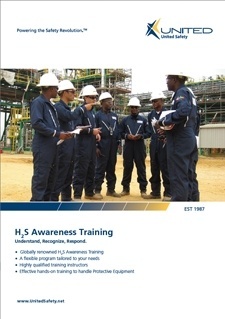 All personnel who work in a potentially IDLH area are required to attend H2S awareness training before commencing onsite assignment. In the event of an uncontrolled release of H2S, proper training can make the difference between life and death.